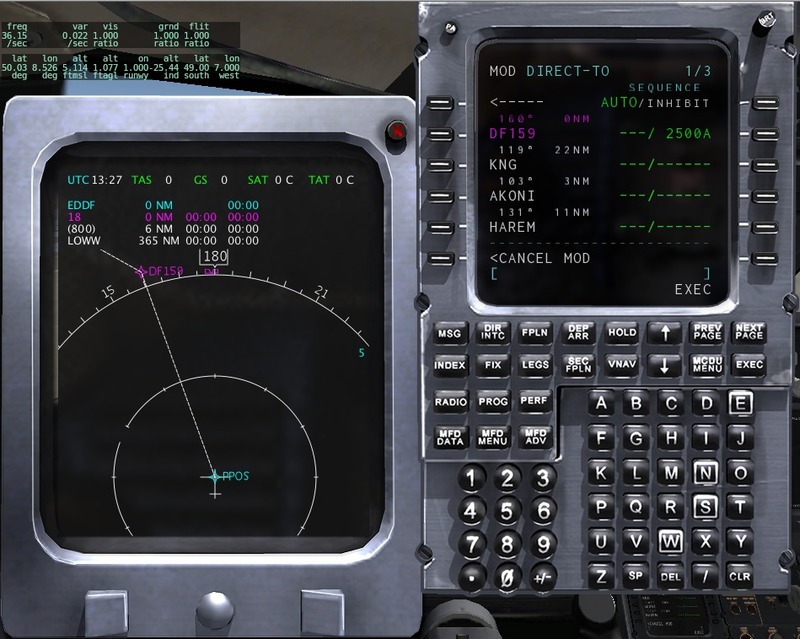 By philipp, December 5, 2011 in Canadair CRJ-200 - Released! Who said only Javier is allowed to post work-in-progress shots? Question: How many differences from the current FMS can you spot? 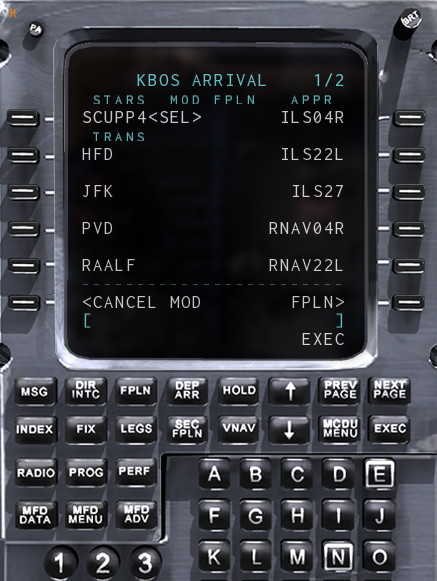 - Transitions now displayed under the selected STAR ? - List of approaches are now filtered ? - New CANCEL MOD function ? I'll have to check this evening what really changed. 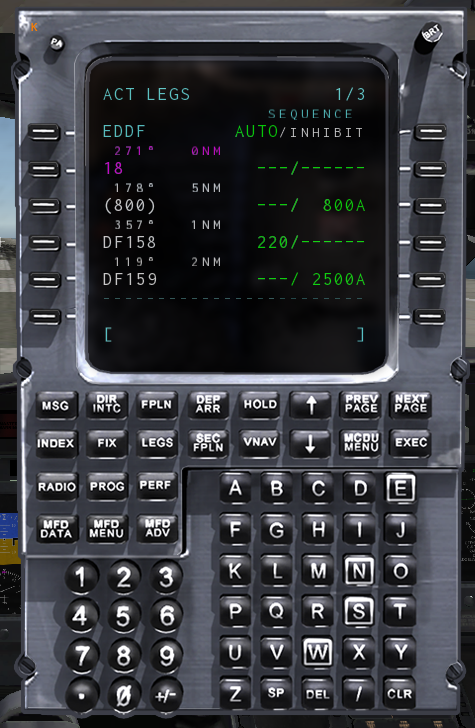 More accurate typeface, STAR/APPR now have to be executed to be entered into the flight plan. You both missed a very tiny detail. It's really tiny, but you are going to like it. No, the shadows have been there all the time. In this shot there's actually only one change (apart from those already numbered by MdMax and Dhruv), but this is a major improvement for a really large number of airports.